You’ll find these beautiful brown biscuits are sweet and savory at the same time. They are crispy-tender, too. And don’t for a moment think your kids won’t eat them. Just today I served these treats to a toddler, a teen, and a fully-grown man who thinks like a teen. All three did cartwheels over them. The 16-year-old who never, ever speaks said “Wow! This is great!” And to pay for these endorsements, I merely had to offer a second cookie. 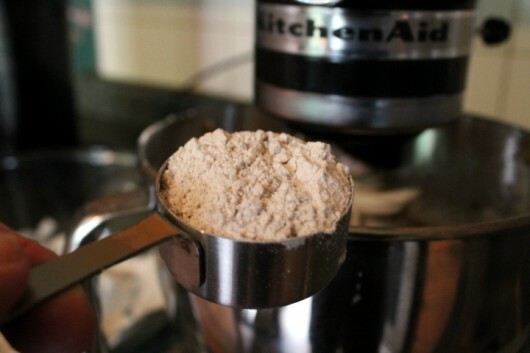 In a large bowl, whisk together the flour, baking soda, salt and spices. Using the paddle attachment on your standing mixer, cream the butter. And make sure your butter is softened to room temperature. Firm butter won’t “cream” properly. And here’s a pop-quiz. Who used to say “And that’s the truth” at the close of her monologue? In the comments field below, tell me the name of the child, and the name of the actress who created her. 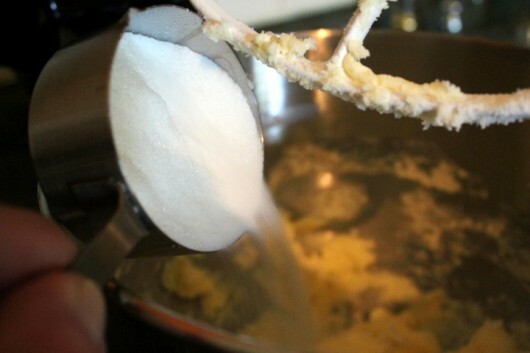 Once the butter is smoothly whipped, beat in the sugar. Then measure out the 1/4 cup of molasses. Warning! 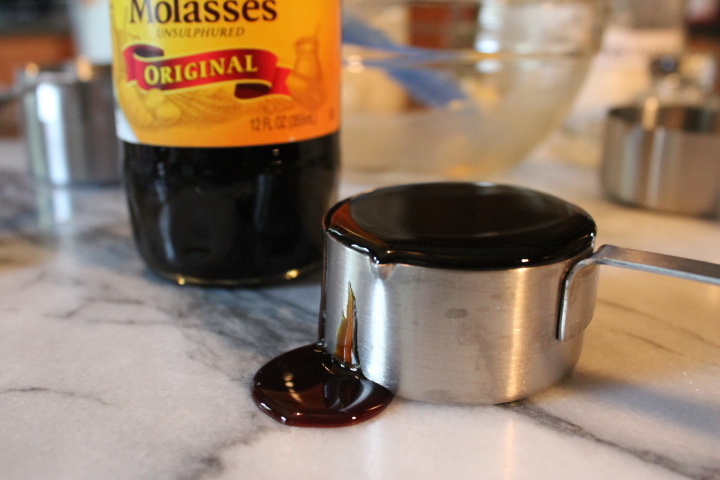 Do not attempt to pour molasses with one hand while holding a camera with the other. As you can see, I over-filled my measuring cup. The over-flow spilled onto the floor as I carried the cup from kitchen island to kitchen counter. Did you know that beagles are willing to lick molasses off the floor? That’s exactly what Lily the Beagle did. Honestly, who needs a maid when you have a dog? 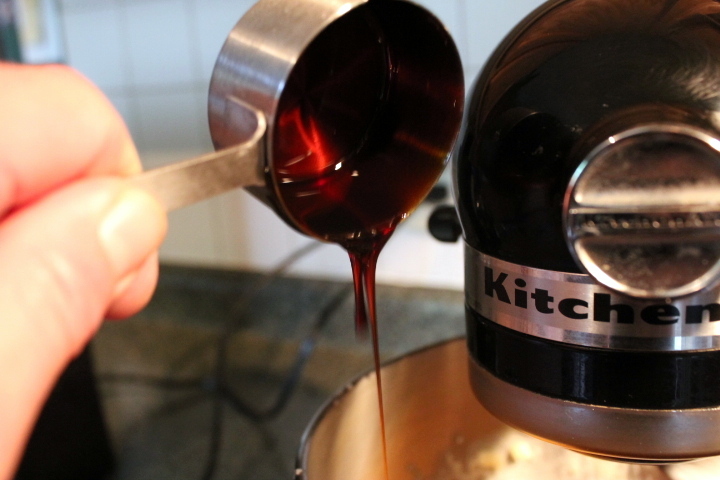 With the mixer running, add the the molasses to the butter and sugar mixture. Beat in the egg, too. And finally, with the mixer set to “low,” gradually beat in the dry ingredients. Cover the mixing bowl with plastic wrap, and let it chill in the fridge for an hour or more. 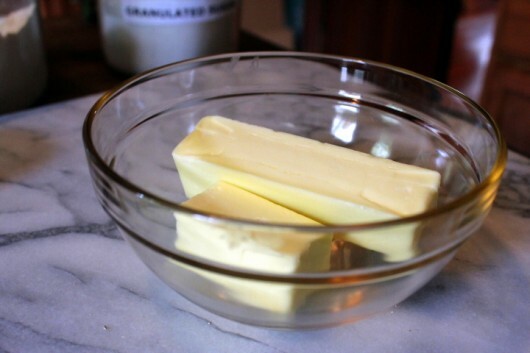 This will permit the butter to firm up. A firm dough is extremely easy to work with. Now turn the oven to 350 degrees F., and set the oven rack to the lower-third position. 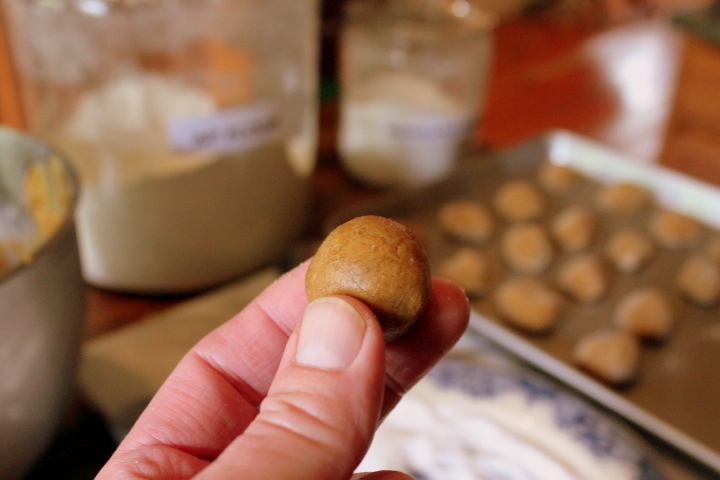 Take little clumps of dough, and roll them between your palms to form 1/2-inch marbles. Now it’s time to coat the marbles with the super-fine sugar. You could very well roll them around on a plate of sugar. However, speaking from experience, this is a lot of work. A better plan is to pour the sugar into a small plastic bag or paper sack. Drop the dough-balls, 3 or 4 at a time, into the bag. Then give the bag a quick shake. When you retrieve the balls from the bag, they will be perfectly — and evenly — sugar-coated. There. I’ve just saved you an endless amount of tedium. Arrange these sugar-coated lovelies about 2 inches apart on a cookie sheet. Bake them in the preheated oven for 12-15 minutes. Here’s what they look like after their sojourn in the oven. I wish you could smell them. The perfume is something to sing about. Let the cookies cool on the baking sheet for about 15 minutes. Then transfer the cookies to racks for further cooling. When perfectly cool, you can store Autumn Spice Cookies in an air-tight container for about a week. Or you can freeze them. Or you can be like me, and eat them and eat them until your guests arrive. Your guests will be happy to taste-test them for you. Your guests will faint with pleasure. When I tell you that Autumn Spice Cookies are as delightful to sniff as they are to eat, you’ll just have to believe me. I hope you’ll try them before all the leaves have dropped from the trees. Spices: 1 Tablespoon allspice, 1 teaspoon cinnamon, 1 teaspoon ground black pepper. Whisk together all of the dry ingredients except the sugar. 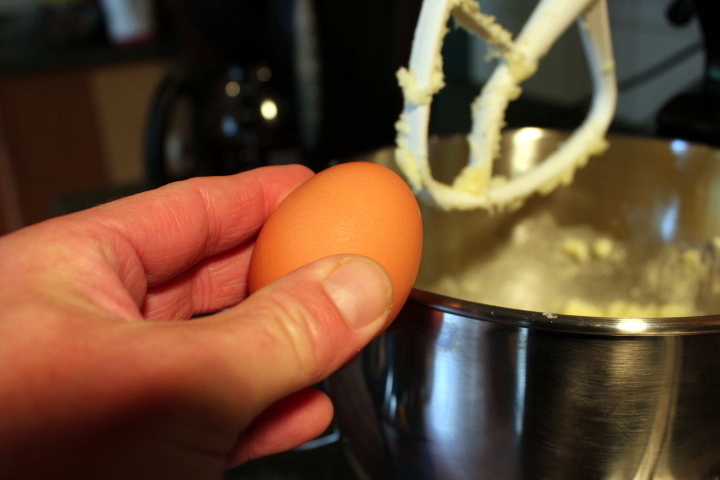 In the bowl of a standing mixer (or an electric hand-held one), cream the butter and sugar together. With the mixer running, beat in the molasses and then the egg. 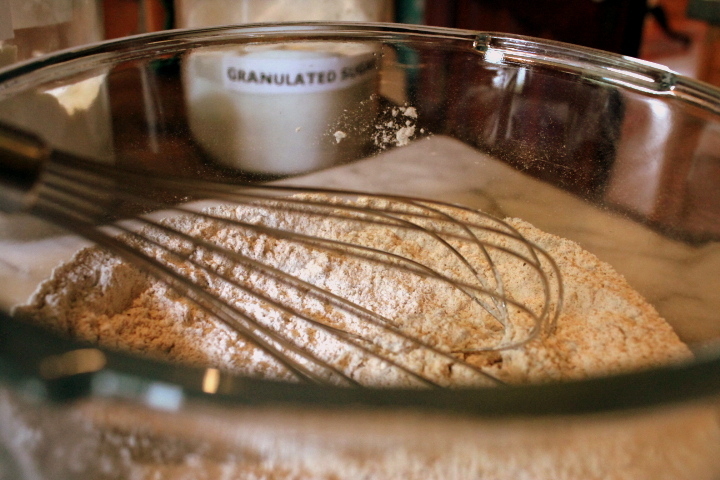 Then, with the mixer on low speed, gradually add the dry ingredients, and mix well.Cover the mixing bowl with plastic wrap and chill the dough in the fridge for at least one hour. 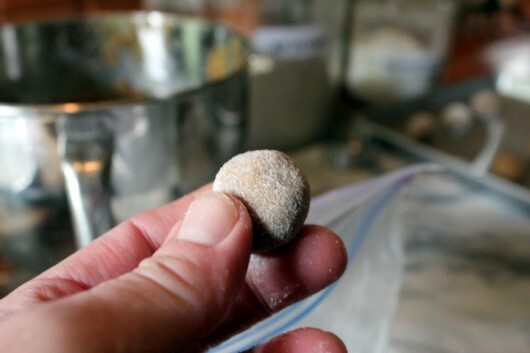 Scoop up a small amount of dough, then roll it in the palm of your hands to form a 1/2-inch diameter ball. 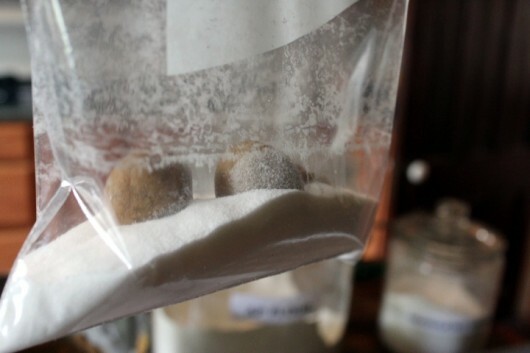 As you work, drop each ball in a plastic bag or paper sack which contains one 1/4 cup super-fine sugar. Shake the bag for a second or two. 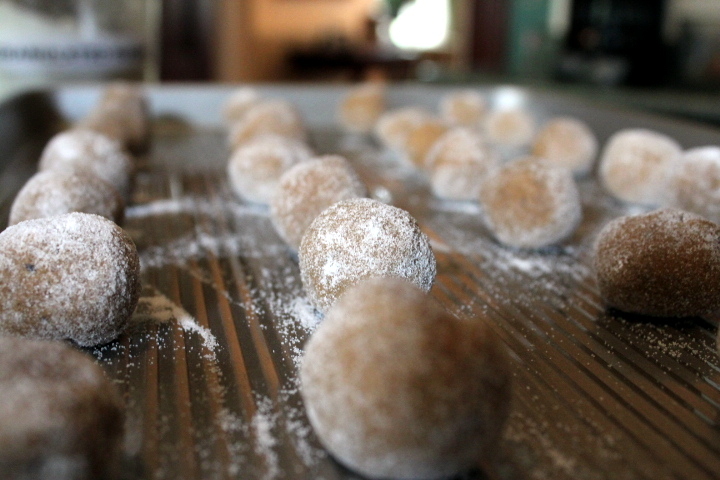 Set the sugar-coated balls on an ungreased, non-stick cookie sheet. Or, set them on a baking sheet lined with parchment paper or Silpat. Bake in the pre-heated, 350-degree F oven for 12-15 minutes. Cool on the baking sheet for 15 minutes, then transfer the cookies to a wire rack for further cooling. When perfectly cool, the cookies will keep for about one week in an air-tight container. Or, freeze the cookies for up to one month. Think you’ll try these incredible cookies? You can let me know by leaving a comment. That great little girl is Edith Ann played by Lily Tomlin. And that’s the truth! PS: And the cookies look great too! You speak my language! That is with a stuffy nose because you’ve put dice up them. Edith Ann — Lily Tomlin. I fondly remember watching her on t.v. and listening to her on 8-track. That is Lily Tomlin and I think the little girl she plays is named Edith Ann. I may be remembering it wrong though. I really enjoyed her show, it was one of my favorites. Your cookies look really delicious and easy to make. I will give them a try. Thanks for the recipe. Sounds awesome and I will try them soon . . . always appreciate your posts . . . thank you, thank you, and thank you. Hope it’s as fun for you as it is for us! 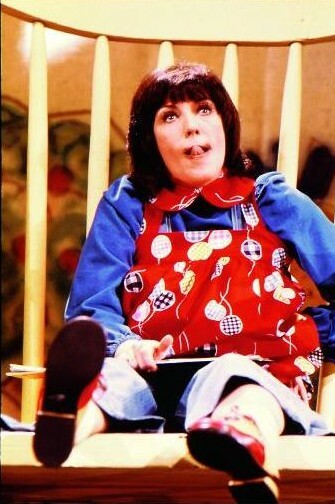 Edith Ann by Lily Tomlin- and the line was always followed by a “raspberry” – LOVE IT! I hope your cookies don’t have cooties like Edith Anns brother did. I loved Lily Tomlin and the character she created called Ernestine..snort snort. Thanks for the recipie! And Ernestine was a telephone operator. I remember that because I used to be one. One ringy-dingy. Two ringy-dingy. Snort, snort . Hi All – Yes, the answer to the pop quiz is Edith Ann, the creation of the amazing Lily Tomlin. It is a well-known fact that Edith Ann loves my Autumn Spice Cookies. I think you will love them, too! Kevin, Do you have a book with all your great ideas in it? If not, you should, I would certainly buy it, and that’s the truth! Make these right away? No problemo! I’m not really a cookie person either. I like pies and cakes more. I just love the pumpkin pie flavor combination. Anything with Ginger/Cinnamon/Nutmeg/Cloves hits right to comfort for me. And black pepper? Now you’re talking! These are like adult cookies… mmm. Oh wow these look delectable! I can’t wait to try this recipe! Darn I do not have molasses or fine sugar…need to head to the store and then I am making these! Donna B. – These are grown-up cookies. But to my surprise and utter delight, kids like them, too! Nicole – If you try the cookies, I hope you’ll let me know how they turn out for you. Jan – These cookies are worth a special trip to the store! Your cookies look wonderful…wish I could smell and taste them! You may be interested in the spice blend called baharat…it varies by country origin, but I prefer the Syrian. Usually used on lamb, but makes fabulous butter cookies, too. This may just be the best cookie I’ve ever eaten!!! (And trust me I’ve eaten quite a few over the years!) These cookies are chewy with the slightest crunch from their sugary roll before baking. They are sweet, but not overly so and have a wonderful spicy flavor-black pepper! Who’d a thunk it?! Perfect to pair with so many things…..from a cup of afternoon tea to accompanying a dish of ice cream after a meal….love them! This cookie is most definitely on my list to try for the holidays! Yum, yum!! Will have to try this, cookies are my kryptonite! i will DEFINITELY be trying these cookies. I am known for my gingersnaps (from “The Joy of Cooking”), but these will be a nice complement to those! Thank you, Kevin. Anything with molasses in it, and I’m there. I like the Grandma’s molasses that I think you use. Drippy, sticky, though. I store the molasses bottle in the pantry on a drip-catching plastic lid recycled from some other purchase. 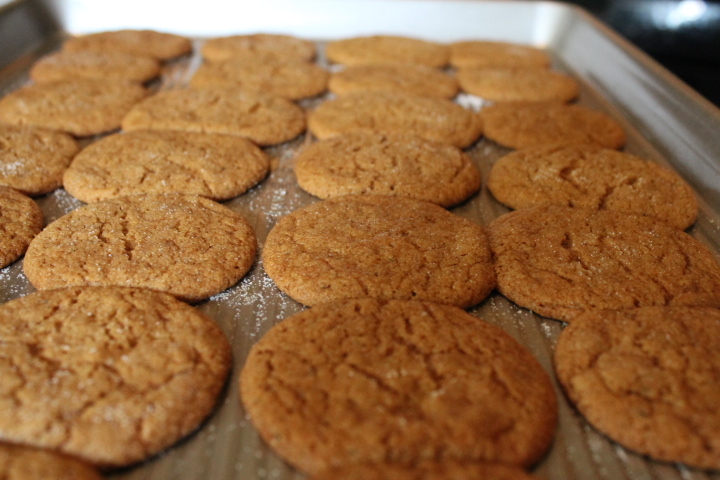 Molasses is essential for baked beans and now spice cookies! I’m going to make these cookies this afternoon. Can’t wait. I’m either going to have to double the batch or make two separate ones. Recommendations? Lily Tomlin as Edith Ann on Rowan and Martin’s Laugh In. I can smell these cookies already…and I am not even baking them. Cannot WAIT to make this cookie. It looks so delish! Holy moley Kevin, I am SO going to the store for the ingredients and making these later! They look fabulous, thanks. I loved Edith Ann (Lily Tomlin)! I know I’mm turning into my Mom when I complain about the new shows and reminisce about the old ones. I can almost smell and taste the cookies- need to make some this week. Thank you for your recipe! edith ann would have had the cookies with her lunch–a jar of cold cream and a hamster sandwich. and that’s the truth. FYI- Last year Lily Tomlin played an operative ( and Sean Murray’s Grandmother) on NCIS- one of my favorite TV shows. I just saw it again on daytime repeats. She looks great and did a great job on the show. Those cookies look fantastic also. Love the little floor cleaner you have 🙂 The cookies sound very interesting so perhaps I will go out tomorrow to purchase the ingredients not on hand…wish that I could borrow the cute floor cleaner 🙂 I hope that you gave the little beagle a delicious cookie for its hard work of licking molasses from the floor! know that both Edith Ann & Lily Tomlin would enjoy these cookies as we will. THANKS. Of course- the great Lily Tomlin playing Edith Ann! As I recall, Edith Ann’s dog was Buster…..also with a “th”. And that’s the truth. I don’t think I’ll be making these, I know it. I had no idea that beagles like molasses! Oh I know I’ll try these, I love Ginger Snaps and these sound just as good!!! Thanks for all your wonderful recipes. I don’t know how you do it, taking care of that beautiful home, cooking like a gourmet, AND caring for that gorgeous garden and land around your home!! I need something to bring to a lunch this week and I am going to try these. With the fall weather I think these will be just perfect! 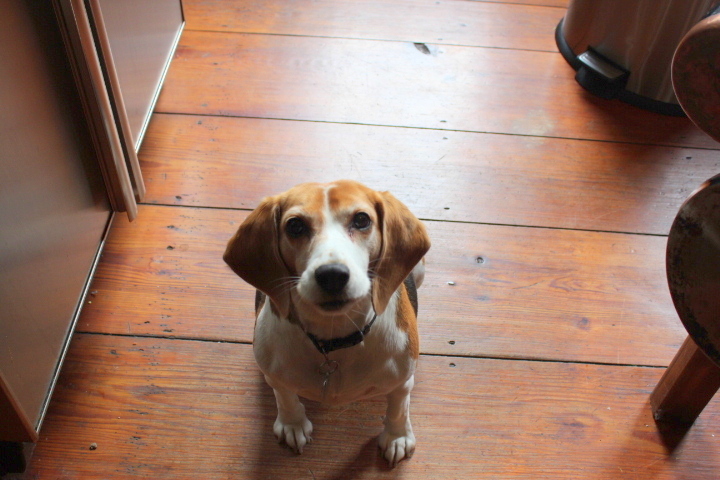 I hope there is a photo essay on Lily the Beagle coming soon….. These cookies are delicious. Made them yesterday and those I shared them with loved them. Definitely a keeper. Thank you for sharing. 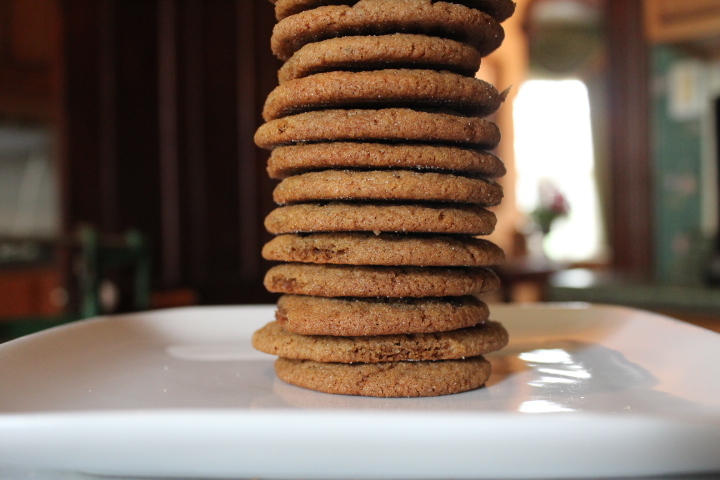 Pat – So glad you tried and liked the cookies, and took the time to tell me so! Love your blog. I would love to stroll through the property sometime 🙂 And, have a cookie and some warm hot Cocoa. God bless! I made these this week and the only thing I did different was to roll them in raw sugar instead of the superfine. It gave a little different crunch. These cookies are amazing and my boyfriend who is not a cookie guy absolutely loves them. He has already asked when I will make another batch! Thanks for the recipe! the character is Edith Ann – and the person who played her was Lily Tomlin… ‘and that’s the truth… plzzzzzzz’ … lol… that was my attempt at spelling a raspberry [SMILE]. Growing up, that character was one of my favorites! I miss those varity shows – they were fun. These cookies sound wonderful! Thank you. The little girl was Edith Ann and she was played by Lily Tomlin. I tasted these cookies yesterday. My daughter made them for a cookie club and we tasted some of the extras. Very good! I’ll be making them soon. Love your website. Donna – So glad you tried — and liked — the cookies. And what will-power you and your daughter must possess. I would have “tested” at least a dozen cookies before passing them on to the cookie club! Did she do this character on the Carol Burnett Show? Hi Kevin….What a sweet face Lily has ! Will try this recipe today. Thanks Kevin! Delicious! I have made 2 batches since you posted the recipe, the kids keep eating them all! Thnak you! Angela – That is music to my ears! Please put your recipes into a cook book so I can buy it. I love all the ones you post but the recipe box is full of loose papers with your recipes on them and it’s getting harder to find the one I want right away lol Love you posts keep up the good work and thank you for sharing. These were a BIG hit! It took their fans a bit to figure out the “secret” ingredient (ground black pepper), but they agreed it gives the cookies a delightful spiciness. My initial batch may’ve contained more cinnamon than the recipe called for because I spilled it into the bowl as I was measuring (whoops! ), but they really turned out nice. I used my “mini chopper” to whir granulated sugar into a finer product, and used the fast baggie method to coat the dough balls with sugar. This recipe is a keeper! Thank you! Hi Lois – thanks for trying the cookies — and for letting me know you enjoyed them. These cookies are SO YUMMY….Thanks. I saw Lily a few months ago here in Salem, Or .She is still just as funny as she was back in the day! Edith Ann by Lily Tomlin….Raspberry! My age is showing. I will make these cookies on a cold day and may have to double the recipe! Dawn – Glad Lily is still at it. About 14 years ago, I was lucky to see her perform “The Search for Intelligent Life in the Universe” on Broadway. Melissa Horton – You just might want to double the recipe. These cookies are SCRUMPTIOUS! Kevin, these are now my all time favorite cookies, i have so far made 3 double batches and are now a huge hit with all that i’ve shared them with…Gotta give ya props on these dude, they are the bomb! Hi Kevin, I can’t believe I am writing this, but just simply had to let you know! I am a retired Pastry Chef and finally have time to try out new recipes for my own usage. After I made and tasted these fabulous cookies, I decided to share them with the nurses at my Chemo doctor’s office. There are nine people in this office, and – totally serious, – eight of them have already asked me for the recipe! Unreal!! One of the nurses never eats sweets, – and she had to admit to eating FIVE of these cookies, and that was just the “warm up!” So, thank you ever so much for sharing your recipes! I have tried quite a few and they always, but always turn out fantastic! You totally rock! Hi Dana Hutchinson – Makes my day to know that you and yours like these cookies. And that’s the truth. Christine Baird – Well, your words are music to my ears. So glad you tried, tasted, and shared the cookies, and took the time to tell me so. Also – nice to learn that pastry chefs continue to bake things after they retire! Kevin, I chose these to include on my Xmas gift plates, and what a GREAT choice! People raved, and with good reason, these are better than you described. I no longer routinely eat sweets myself and couldn’t resist indulging in several of these beauties, absolutely fabulous. Thank you, and Happy Holidays to you and yours! You always make me smile Kevin and I know my grandchildren will love those cookies…on my list of things to do. Lily is a very lucky dog !! 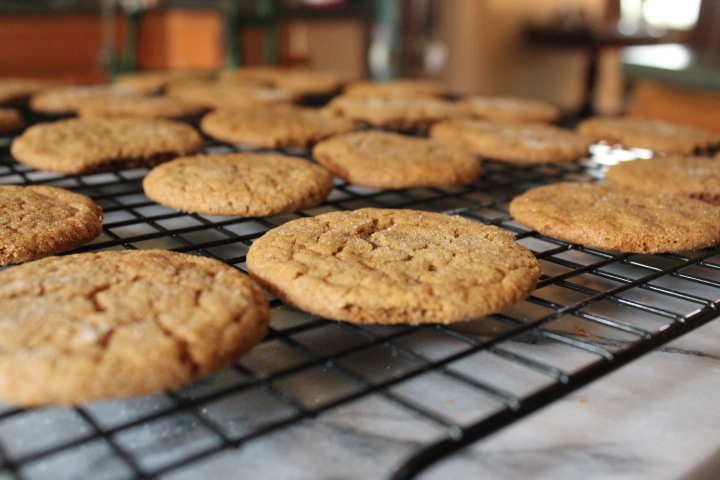 molasses and ginger cookies are faves of mine…… I bet these are right up my alley as well. I’m loving strolling through your page today. Thank you! I know I will love them, but will add some irresistible minced crystallized ginger to them to satisfy the ginger spice jones. Lily Tomlin as Edith Ann! Love it! Edith Ann by Lily Tomlin! What a fun memory! I can’t wait to try these! Your look perfect! 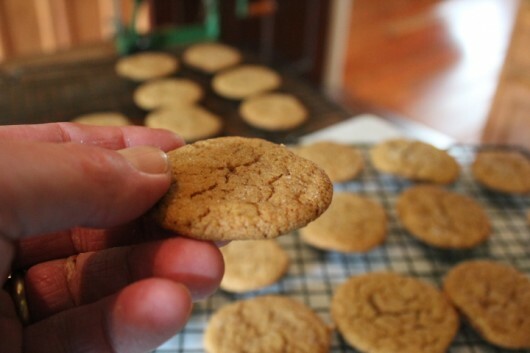 Substitute ginger for pepper, and these are identical to the soft gingersnaps that my family all LOVE. I have never thought of using pepper! Edith Ann and I thought it was Gilda Radner. Edith Ann is a character created by the wonderful Lily Tomlin! And that’s the TRUTH! Does the recipe work with gluten free flour? Those look lovely – it was Edith Ann (she was five years old) and was played by Lily Tomlin. Is course or fine ground black pepper better for this recipe? Hi Cait – I used finely-ground black pepper. Enjoy the cookies! I would love to see a gluten-free version of the Autumn Spice Cookies. Kevin, These are the most delicious cookies! I made a batch on Wednesday and there are just a few left. My 11 year old thinks they’re wonderful. I love that the have a little crunch and are deliciously chewey too. Thanks for sharing. I’ll be giving away lots of these for Christmas. These sound yummy, Kevin. I’ll be baking them this weekend to share with folks at work as a late Christmas treat (I was out of town.) Thanks so much for sharing these wonderful recipes! And, yes, that is the truth – Lily Tomlin’s character Edith Ann was delightful. Very talented lady! Yep! It’s Edith Ann played by Lily Tomlin. Loved her character. Edith Ann played by Lily Tomlin. One of my favorite comedian and actor, and I quote her often! How did you know I needed a new recipe to bring to our family reunion and “cookie contest” this Saturday!!! Thank you Kevin….these look like winners to me! Hi Kevin, Im back to print your recipe to try and to let you know I just had to feature it on my blog, hope you can stop by and check it out. Have a great day!! Edith Ann by Lily Tomlin! I ONLY can hope I’d have enough of these cookies left to FREEZE!! Lily Thomlin portrayed “Edith Ann”. Just found your site.Love it! Edith Ann by Lily Tomlin. I can relate to your asphalt backyard. I had the same issue with really bad soil filled with dirt, oil and asphalt. It has taken 5 years now of TLC after removing the asphalt to have fairly decent soil. But, roses and other flowers can now grow in it nicely. I made these cookies, triple checked the amounts, but they ‘melted’ into a mass on the cookie sheet. (Still tasty, but definitely not cookies! They look like taffy–). Too much butter? Not enough flour? I used 1 1/2 stcks of butter and 2 c. Of flour. Any suggestions? I wanted to stop back by and tell you that we love these cookies, not to sweet, and the pepper addition was new for me. Thanks for the recipe!!! Lily Tomlin’s ‘Ernestine’ is the character. I always thought it would be fun to put Howie Mandel’s ‘Bobby’ with Lily’s ‘Ernestine’ and see what comes of it!!!! Hilarity! Cuteness! Fun! Love Lily Tomlin in all her incarnations. I believe it was Edith Ann, however, who spoke the truth. and waiting for them to cool 15 mins on the cookie sheet – who are you kidding? – certainly not me. into my mouth went the warm cookies followed by sips of tea. thank you again for a great recipe! Made these today……………..They are awesome! Kevin-just gotta tell ha-I made these cookies last nite-my WHOLE house smells grand-and they came out MARVEY!!!! Kevin-I am new to your blog-and I just LOVE it and YOU!!! You are the BEST!!! I am a plant nut-here in beautiful Virginia-newly retired-and absolutely LOVING it!!!! Clever to provide a hint to your quiz by having your dog in the blog. Snort-snort. I once bought a ginger cookie from a bakery that was the most delicious cookie I’ve ever eaten. But when I returned, the server was so nasty that I won’t eat anything from there ever again. But I have a memory of a thick brownie like textured cookie. It was dark with molasses and rich with bits of candied ginger. Not ground ginger spice but the real McCoy. No frosting, just the best thing I’ve ever tasted. I can’t find a recipe for this ANYWHERE. Sure wish you could come up with a Kevin’s Gingerbread Cookie that is that awesome. If you can get me to eat cookies made with pepper, then surely you could work your magic with this beauty. Edith Anne played by Lily Tomlin. I’m a little late to the table, but l’ve just discovered you website very recently and am totally in love. Gardening and cooking, my two favorite things in the world. I made your cookies last night and baked them off this morning. I was a little worried because when the dough is raw the molasses scent is very prevalent, and molasses are something l don’t like. But after they are baked WOW is all l can say! They are just delicious. I’m having a few with my coffee this morning. Thanks so much for the great recipes and wonderful gardening advice. Love your website, it’s just the best. Hi Branka – So glad you tried — and liked — the cookies! Kevin – Did you say store them – oh how nice that would be if I had some left to store. I can’t wait to bake these just for the wonderful fragrance that my home will have. Thank you for this delicious recipe. I must try these cookies! I once tried to make my own superfine (caster) sugar, but whirred it too long. Not only did I wind up with powdered sugar, but I had clouds of sugar all over the kitchen! I found out too late I needed to put a towel over the processor. Yes yes I will make these cookie —and that is the truth!!! Edith Ann / Lily Tomlin. Must try these cookies. Loved ginger snaps as a kid and know I’ll love these. I think my favorite cookie would be oatmeal with raisins and pecans. A very close second would be chocolate chip and if sand tarts are considered a cookie that would be at the top of the list. Thanks for the tips about using shredded leaves in our gardens. A perfect solution for my wooded property. 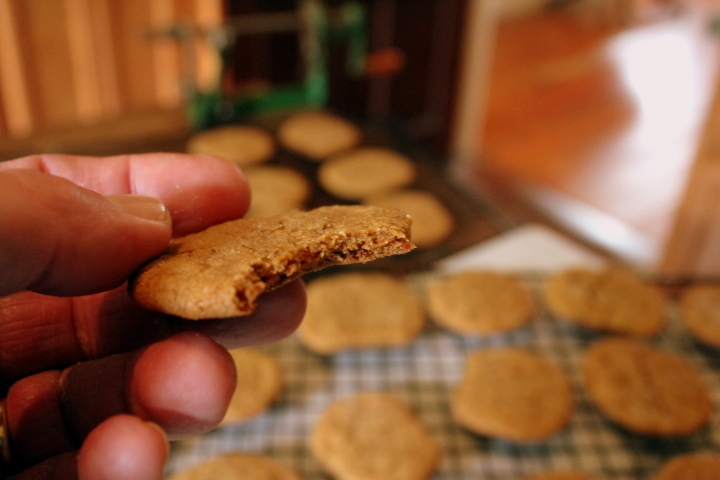 The autumn spice cookies recipe reads ‘deliciously’. Edith Ann (Lily Tomlin), of course…. Kevin, what kind of molasses and could you do a story re: the different types of molasses? Please! There are different kinds, and they will effect the cookies flavor.